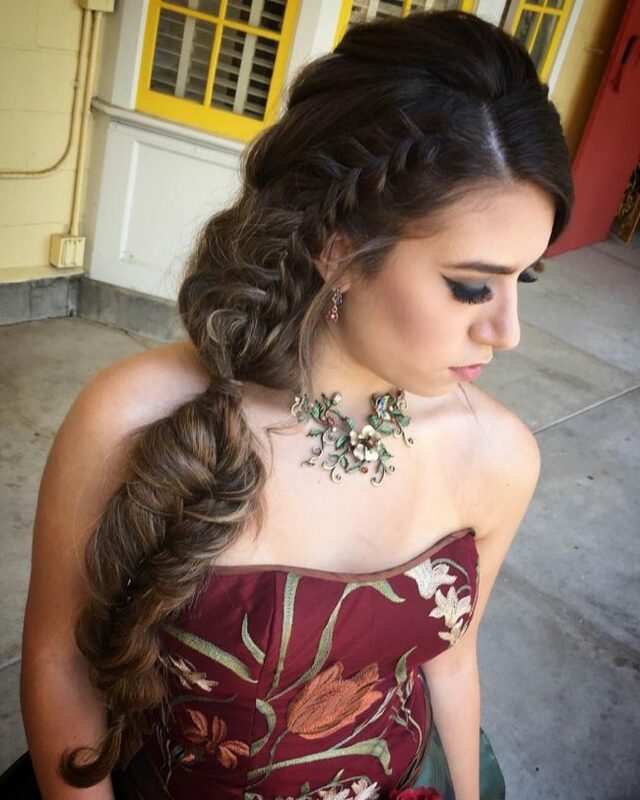 Braided ponytail is a fantastic hairdo, and this is not only due to its breathtaking appearance but also because you can wear it for both formal and informal engagements. Whether you are going to a friend’s wedding or for a night out this style will still work for you. You can also create it with any hair type, and if your strands are short, you can always use some extensions. Look through the picture gallery below for some ideas on how to form and style this lovely headdress. 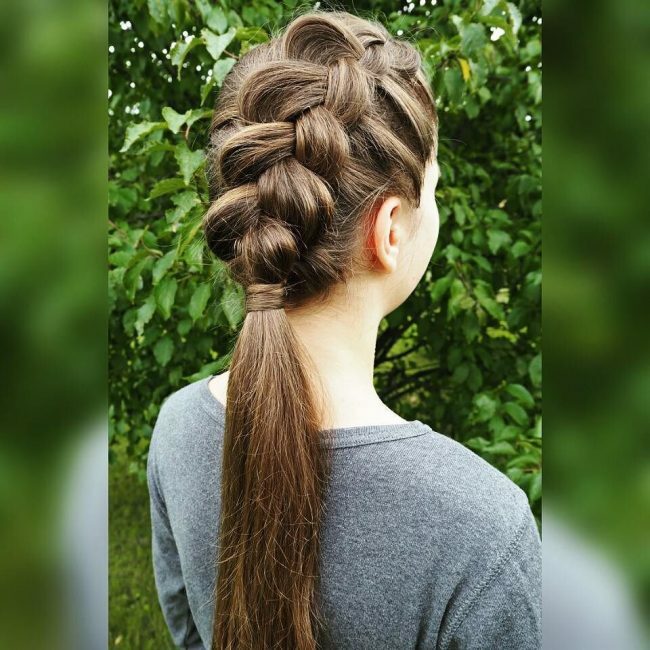 This style is perfect for a lady with the thick hair, and it entails weaving the strands into a massive French braid at the center of the head. 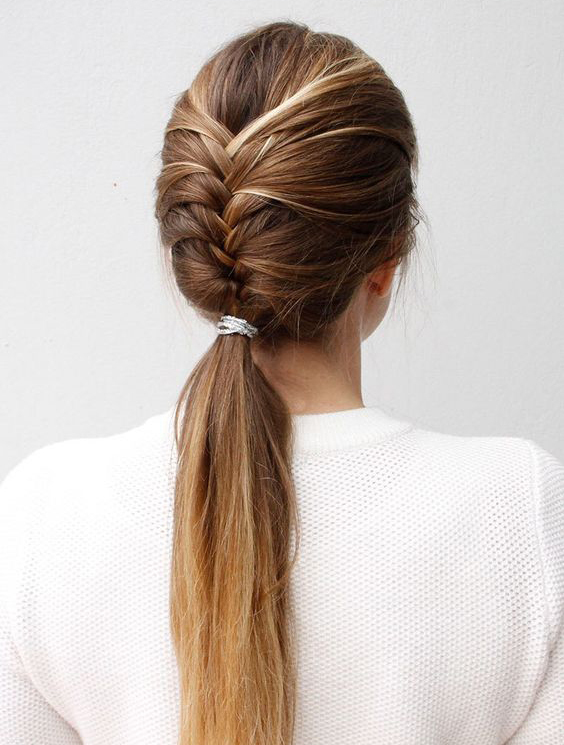 The huge twist ends at the back where you should wrap the strands into a ponytail. You also have to ensure that the twist is neat, and this style will look best with a beautiful blonde tone. 25 Lovely High Ponytail Hairstyles — More Ideas to Try! The Dutch twist in this design looks amazing, and it helps to make the overall appearance very classy. 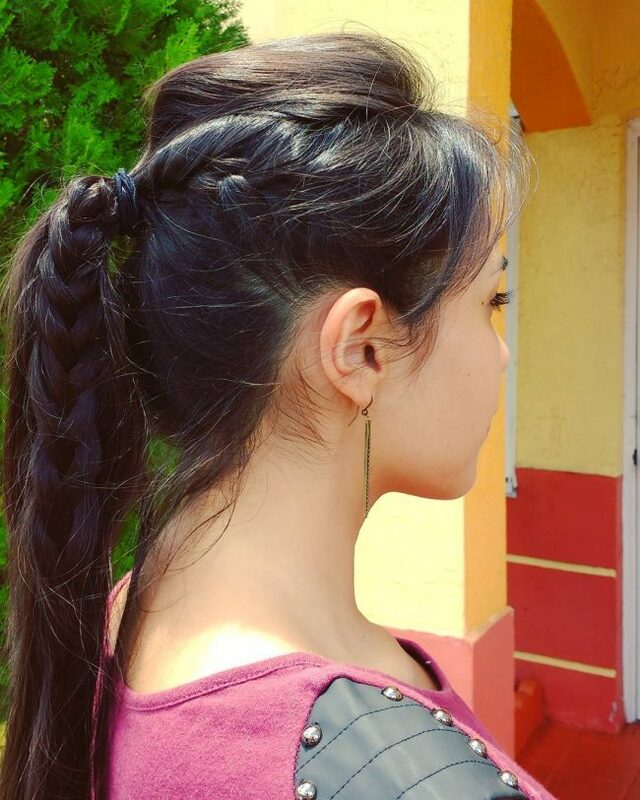 It is a massive braid that hangs on top of the head and ends into a traditional tight pony at the back. However, these strands also have a beautifully highlighted shade that makes the design look extra adorable. A beautiful headdress like this one may look complicated, but it is very easy to replicate once you figure out the style. The design entails weaving multiple twists from the front to create some nice rows and also leaving some free strands flowing to the back. And to finish it you will only need to pull everything into a ponytail at the center of the head. 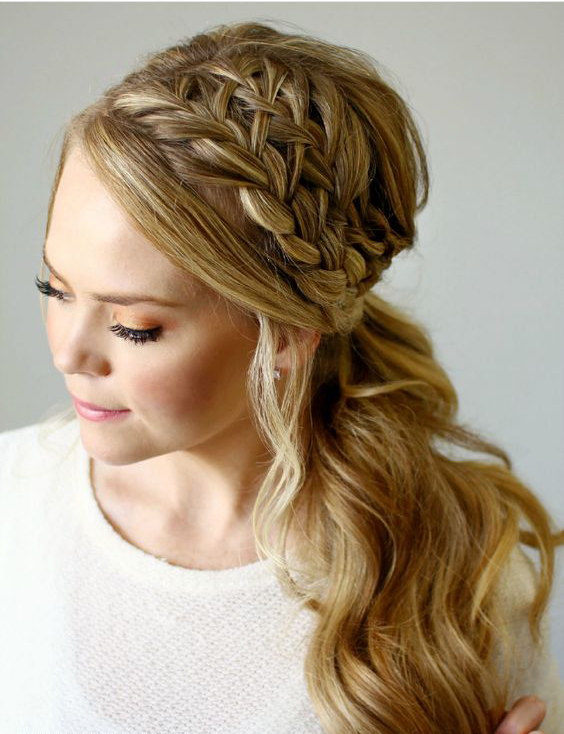 The beauty of this hairdo comes from the braided headband that wraps around the forehead. 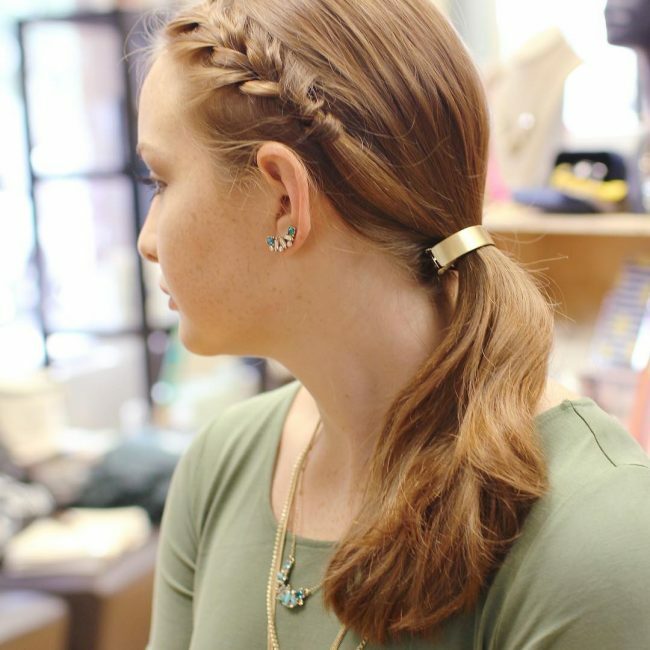 Forming this headband is effortless for anyone with basic braiding skills. The headband ends at the back of the head where you should combine it with the rest of your strands to create a loose ponytail design. For the color, you can maintain your natural shade, but the blonde hue in this one seems to look great with this style. A summer hairstyle needs to be simple and something that will not make you feel uncomfortable under the scorching heat. These brunette strands have such a style, and it entails creating a center part at the front and giving the bangs a side sweep and a little twist and lift to create a lovely crown pattern. You should then brush all the strands to the back and tie with an elastic band to form a pony. The last step is to knit some of the strands flowing from the tail into a neat plait. It is hard to believe that these redhead locks have some extensions because everything looks very natural. This headdress proves that you do not have to keep a long mane to wear a pony because there is always the option of adding some extensions. The three French braids on the crown create some beautiful rows, and you should finish them in a ponytail at the center of the head. Some natural beach waves like these will always look fabulous even without any styling. However, if you want to control their flow or to prevent them from coming over your face, you should have a braided ponytail like this one. It entails weaving a loose medium size twist on the side and then wrapping it around the rest of the hair to create the pony. Your smooth and straight redhead locks may be exquisite, but you still need to style them. And to ensure that they maintain their beauty you should have a simple braided side pony like the one on this design as it will also enhance the overall beauty. To create this design, you will only need to knit a neat twist on the side that starts from the front and ends in a side pony. 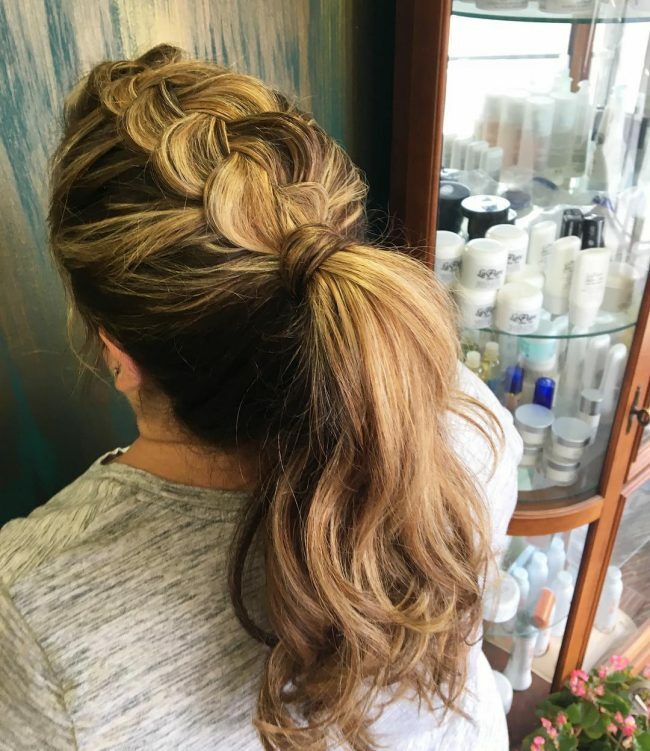 This fancy hairstyle only has one twist on the side that starts at the front of the head and flows all the way into a pony where it joins the rest of the strands. You should also make the rest of the hair coming from the pony messy as this will make your hairdo look trendy. 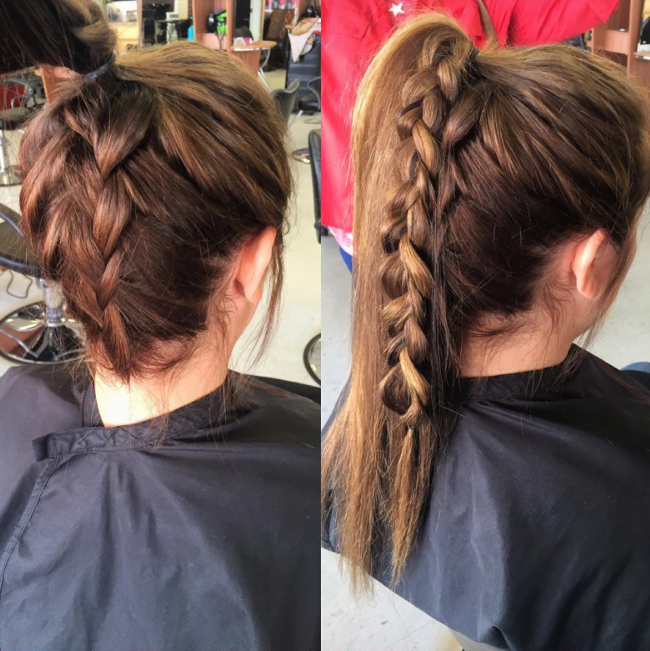 A Dutch braid is one of the easiest ways of weaving hair, and you do not have to be a professional to form a stylish one. In this hairdo, it is on one side flowing to the back, and it is also quite huge meaning that it incorporates most of the strands. And to finish it you will only need to wrap it with few locks at the back to create a ponytail. Braids make life easy for ladies because they help to ensure that they do not have to do a lot of work to create an elegant appearance. In this design, for example, a simple crown twist that wraps around the head and ends in a pony is all that a lady needs for a refined appearance. Unlike most other variations on the braided ponytail, this one will require some skills and experience to create. Once you pull the strands and tie them at the center of the head, you will need to weave them into an inventive lace twist. And if you can create one like this then you can be sure of a top notch and elegant hairdo. Although this headdress looks unique, it is very easy to form, and so you should not shy away from it. 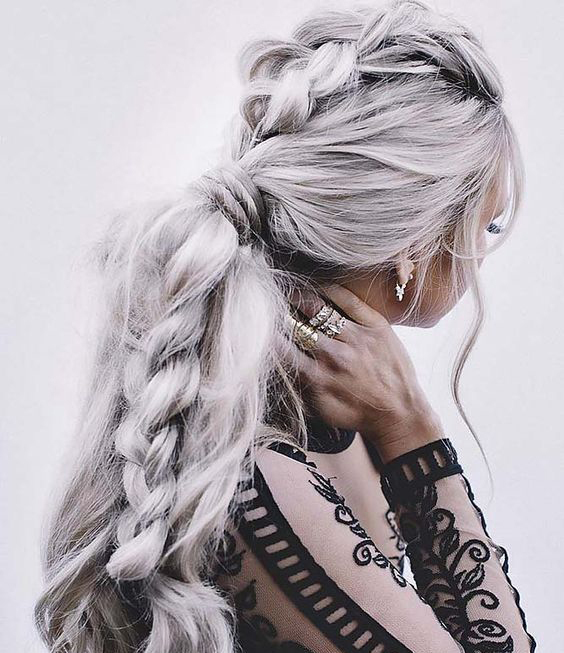 To create a fancy design like this, you only need to form a neat braid that appears to be floating on the rest of the strands that you should also tie with a band at the back to form the tail. The incredible length of these locks is the first thing that most people will notice. 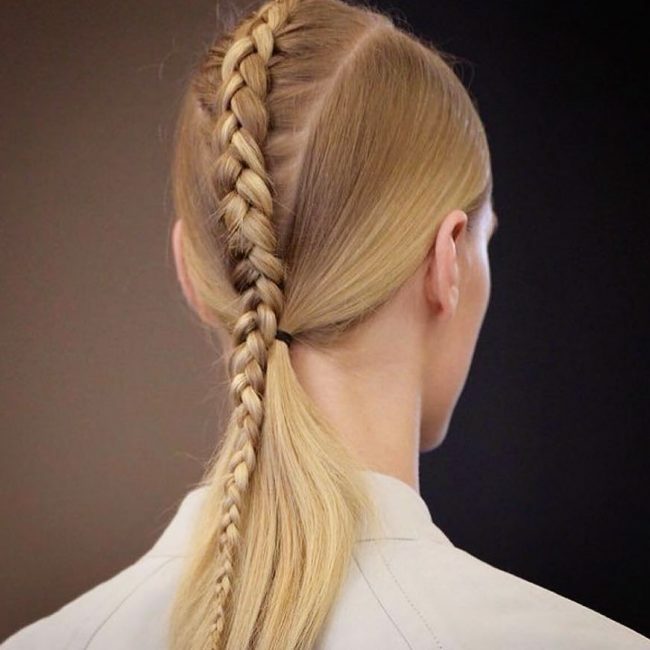 But, the adorable styling entails texturizing the strands and then weaving some of them into a neat side-braid before finishing the design by pulling everything into a beautiful ponytail. This headdress comes from a textured wavy hair, and it looks very gorgeous. The only hard part in creating this look is getting the waves and the texture but if you already have this everything becomes simple. To wear this look, you will only need to weave your strands into a simple side braid and then finish it into a wavy ponytail at the back. The highlighted strands are also vital for the style as they give it a perfect tone. 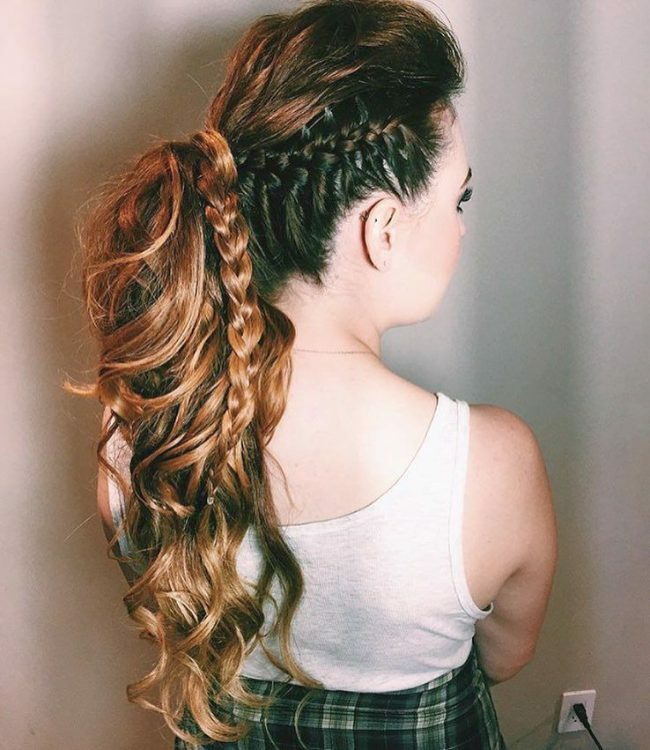 The braid on this design is small, and it is only a few inches long, but it makes a huge impact on the overall appearance and also makes this hairdo sophisticated. To replicate this look, you will first need to form this twist in the middle of the head and then combine it with the rest of your smooth and straight strands at the back to create a sleek, tight ponytail. 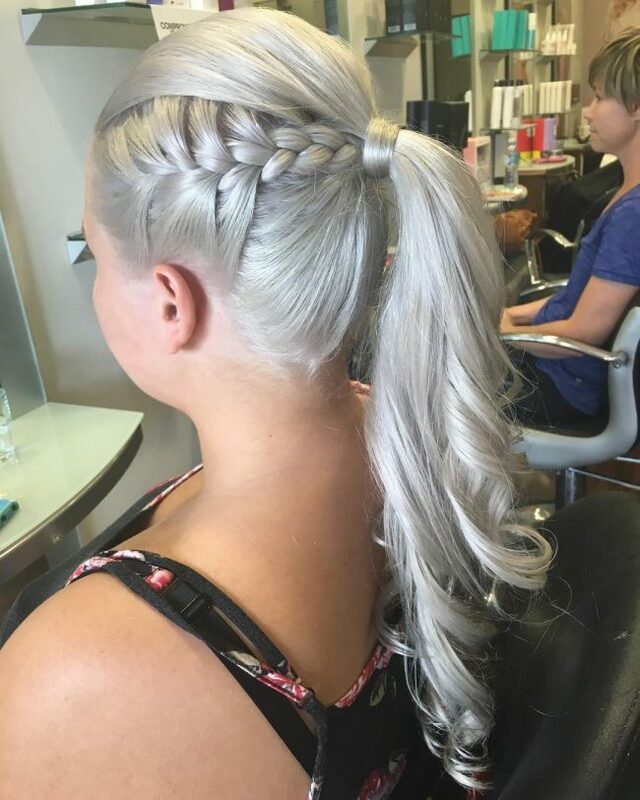 Silver is a unique shade and any woman that wants her strands to have an excellent tone should have it. However, it does not eliminate the need to have a nice hairdo. 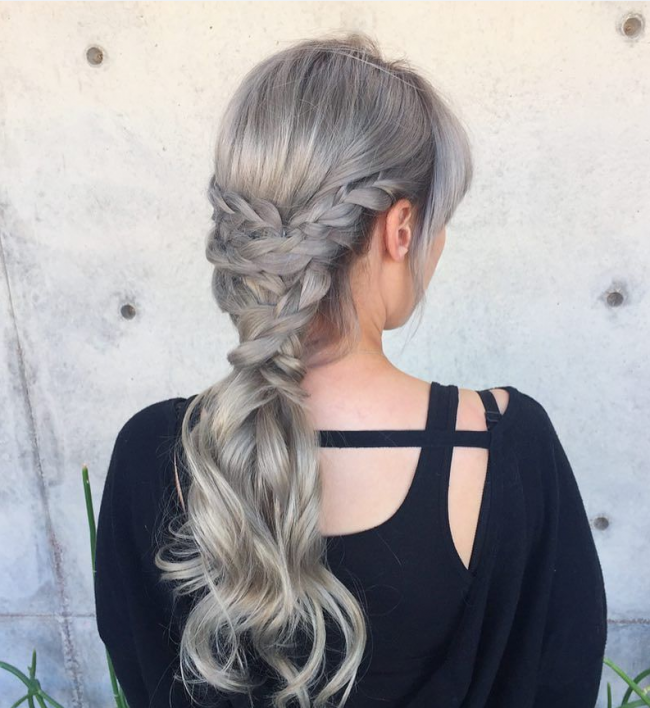 In this style, the strands have some fancy braids that wrap around the rest of the silver locks at the back to form a sweet and simple ponytail. 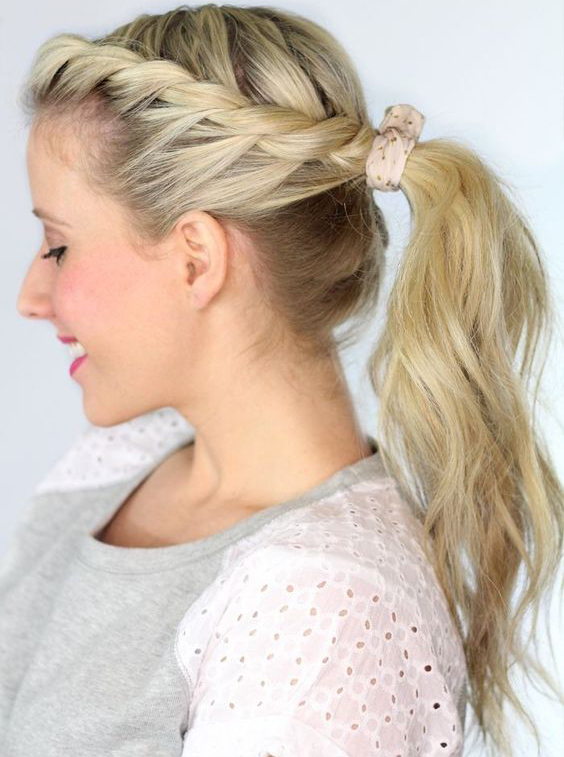 This hairdo is what you should have when you want something casual for the outdoors. 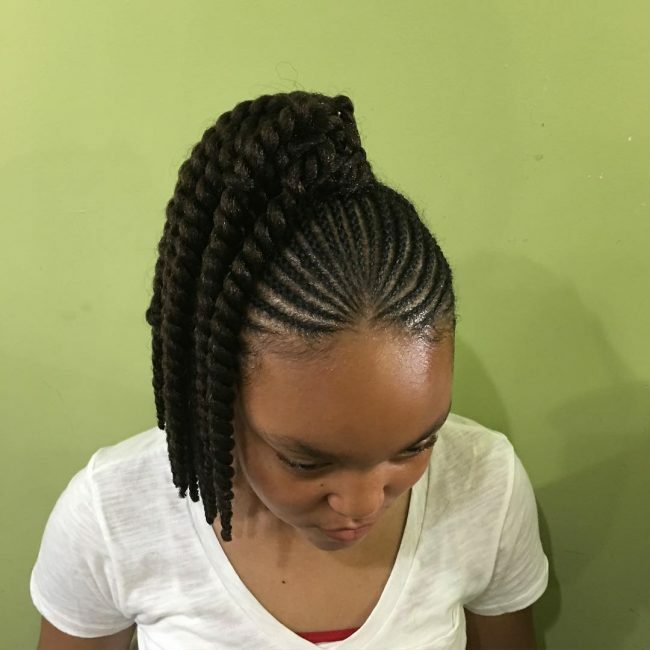 It is a straightforward design that you can form with loose medium braids that start from the center part at the front and flow all the way to the back. You should then join your twists and then use some of your textured locks to form a loose pony at the back. This sleek hairdo may look complicated, but it is not. In fact, it is one of the easiest designs that any woman with long hair can create. It entails tying the strands at the center of the head tightly and then weaving them neatly. However, what makes the style look distinct is the fact that it also has some nice copper wires that wrap around the twist to spice it up. If you are looking for a style that you can wear for any occasion even when working out, then you should try this adorable 3D twist. It is as neat as you can ever wish for and also very easy to form as you only need to pull your long locks to the center of the head and tie them neatly. You should then weave the strands protruding from it into the 3D twist. However, this style looks best for ladies with a very long dark toned mane. If you know how to weave hair, or you have a stylist that can do it well, then you should try this amazing style. To create this style you need to spin a reverse twist starting at the back but you should not finish it at the center of the head. Instead, you should tie the strands with an elastic band at the center of the head and continue weaving them to form a ponytail design. 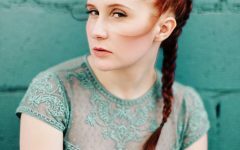 These redhead locks may have an incredible color, but they still need an inventive styling for them to look elegant. They get their top notch style from a huge fishtail that wraps around the head to form a beautiful crown, but you should also use it to create a simple but stylish pony at the back. Here is another hairdo that demonstrates the immense beauty that silver can give your strands. Such a perfect color makes things easy for you as you do not need to do any complicated styling to create an adorable hairdo. 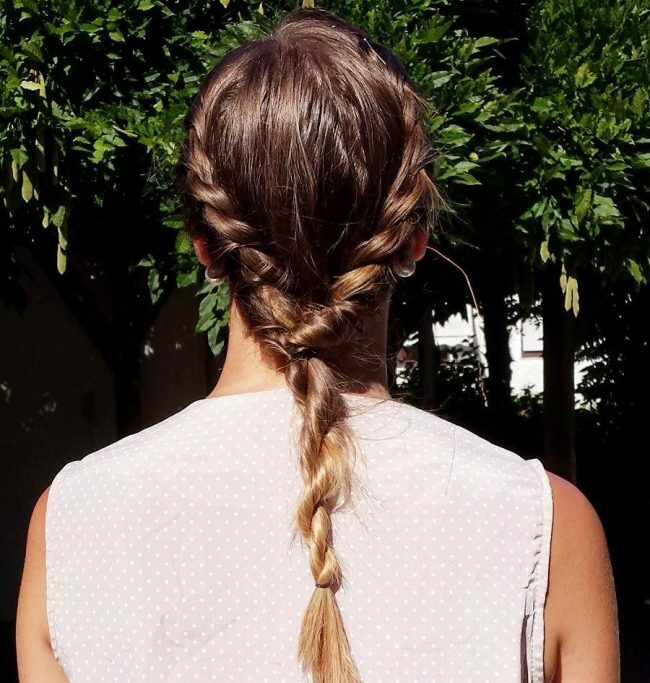 A small and straightforward braid on the side that finishes in a tight pony is enough to make you look chic. However, you also need to have a long thick hair to look this elegant. 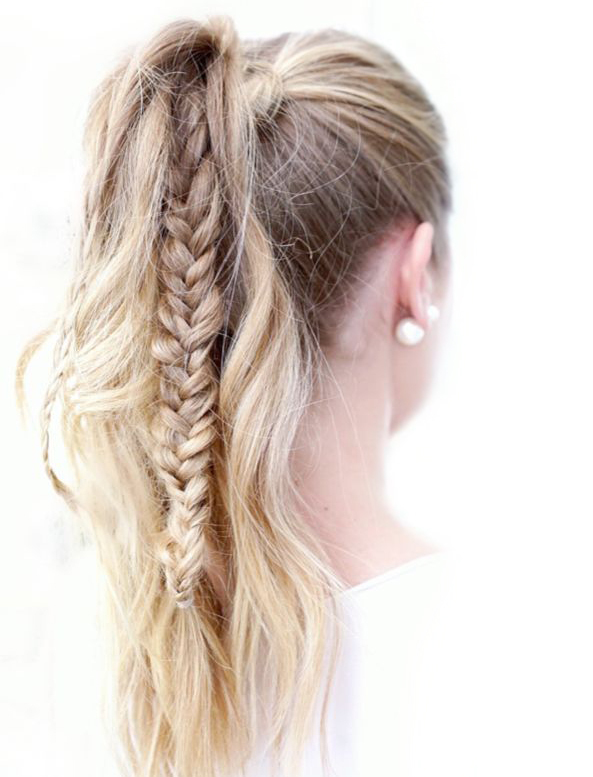 The massive Dutch braid in this style transforms the ordinary braided ponytail hairstyle into something spectacular. And the good thing about it is that it is a very simple design to create provided you know how to weave a basic Dutch twist. You should also make sure that you make your pony knot tight as this is what will give you a neat appearance. A waterfall twist looks complicated and although it requires some skills to form it is still achievable. 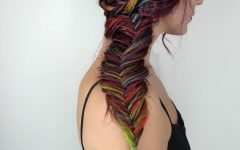 To create a fancy one like this, you will first need to pull and tie your strands into a pony at the center of the head. The last and most important step in creating this lovely headdress is weaving the strands that come from the ponytail into a waterfall twist. It is also a good idea to give your locks a beautiful ombre dye job because it will make the waterfall look very fashionable. This hairdo is perfect for an outdoor look and to create it you will first need to form a soft center part at the front of the head. You should then sweep the front bangs to the side and then brush all the strands to the side where you should weave them into Dutch twist. 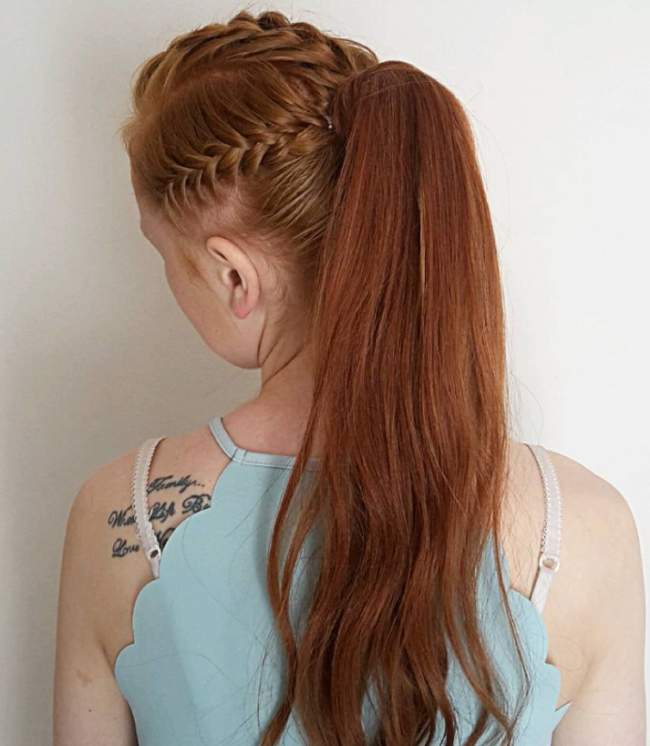 The Dutch twist should end on the shoulders where you need to tie the locks with an elastic band and continue twisting them to form a fishtail. You can never get enough of silver because it is one of those shades that will always make you stand out. The locks on this design have a pure silver tone, but their styling with a side twist that ends in a loose pony is what makes this a stunning headdress for a modern woman. 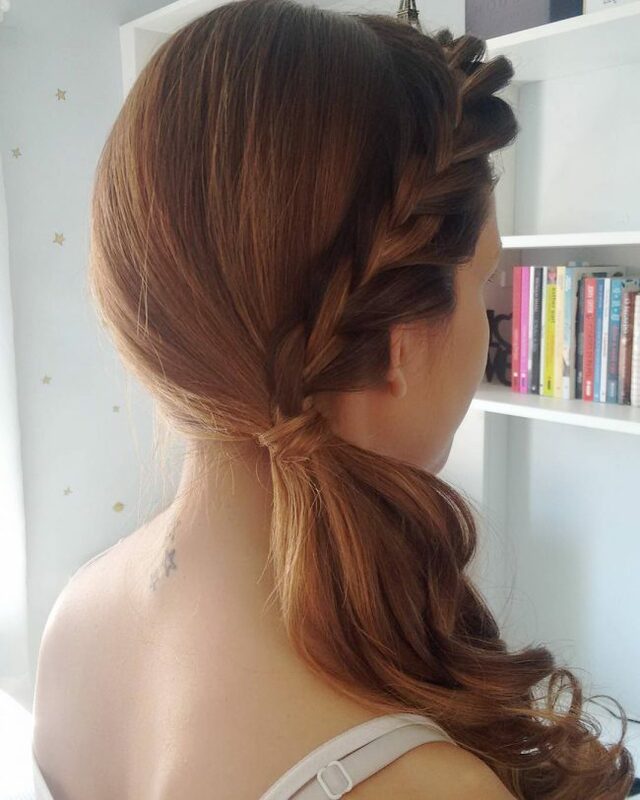 This hairstyle looks stunning, and it is also very fun to form. 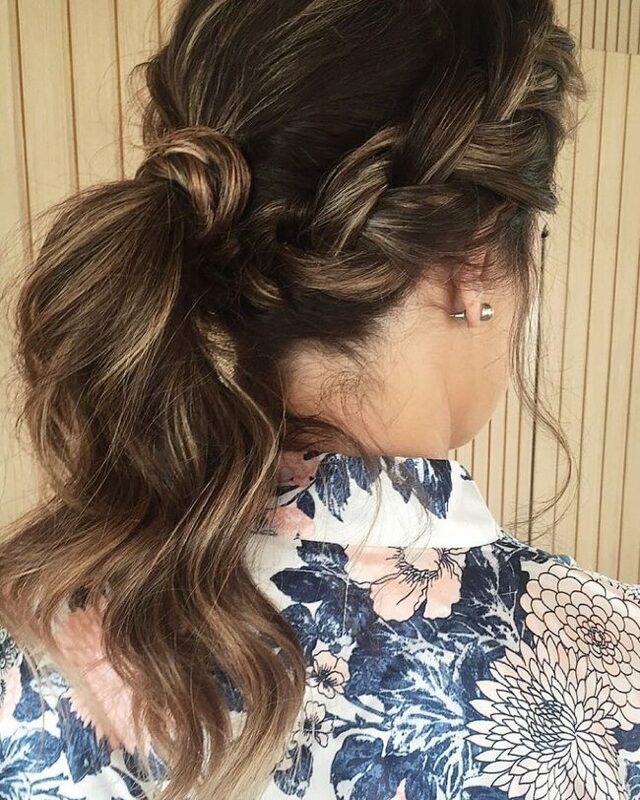 If you want to wear a look like this one you should section your strands into two and then weave each section into a medium size Dutch twist. 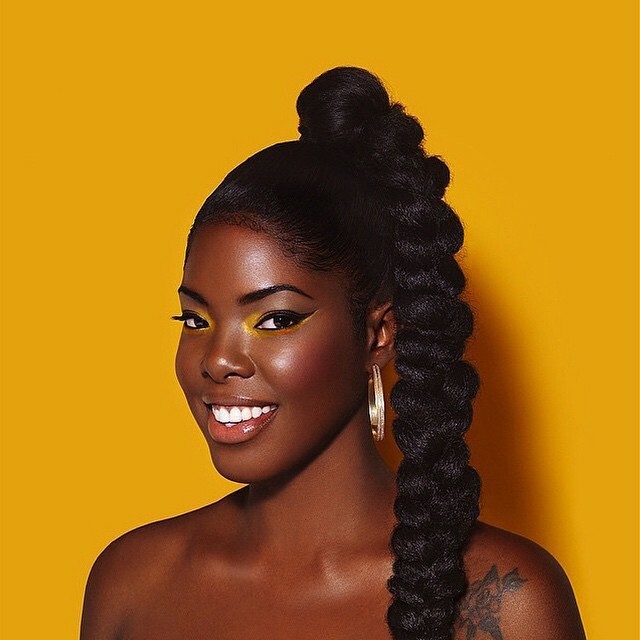 However, the twists should not go all the way, but you should instead finish the braids with two tight ponytails that have some wavy blonde locks flowing from them. 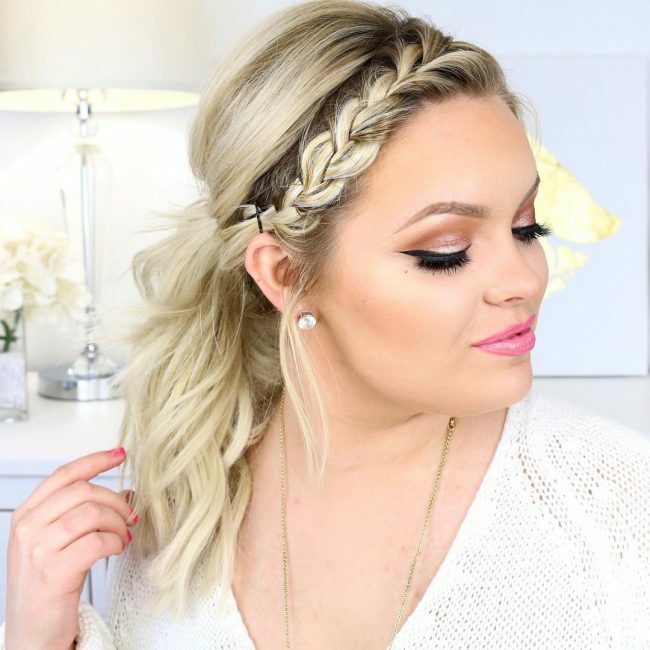 This hairdo entails forming half a crown braid that starts at the center part and flows to the side. The style also requires that you brush all the other strands to the back and then join them with the French twist to form a cute side pony. Apart from the beautiful styling the strands also have a gorgeous dark brown shade. Here is a cool hairstyle that every lady with a long thick hair should try out. 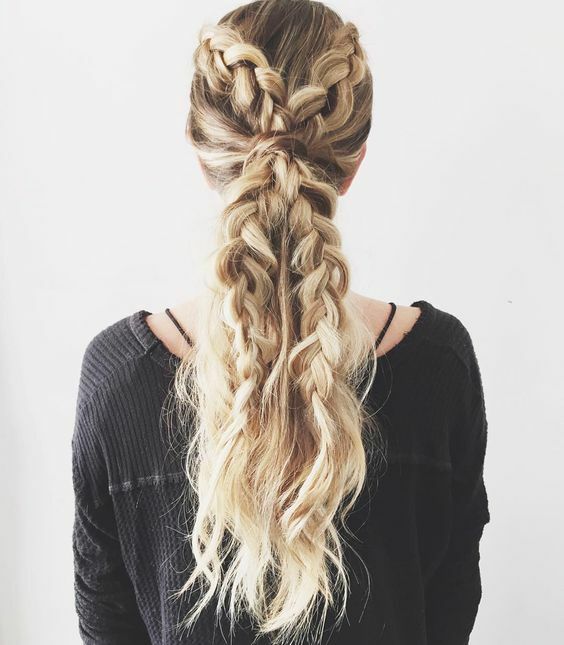 It entails weaving a large Dutch braid on one the side that incorporates most of your strands. It is an easy twist to form, and so you should make sure that it is neat and tight. The finishing at the back entails using a few strands to create a beautiful ponytail. The classic French twist will always look great on any woman who can make it right. This particular one is big, but this means that it is also easy to create. 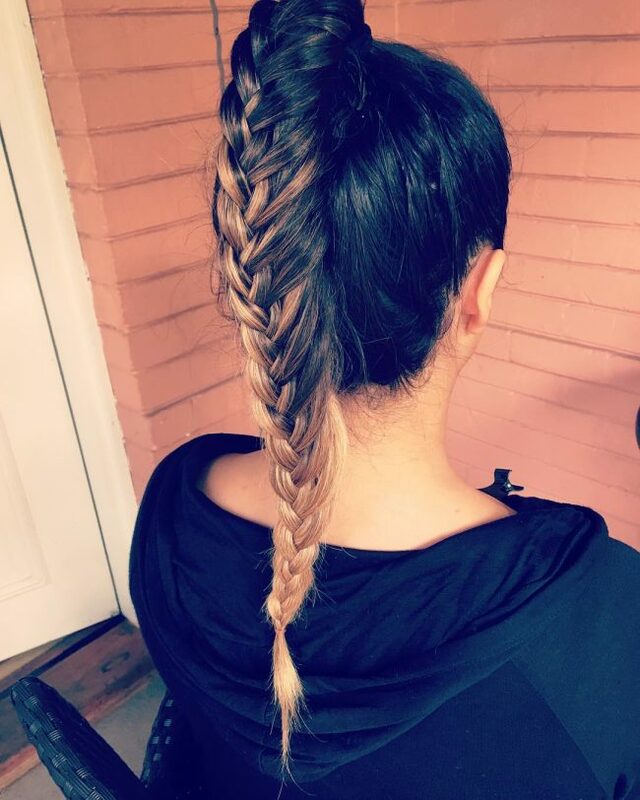 It is also on the side, and although it is a typical French braid, it ends into a tight pony that makes it look distinct. For the ponytail, you will need to tie it with a few of your strands and use pins to hold it in place. 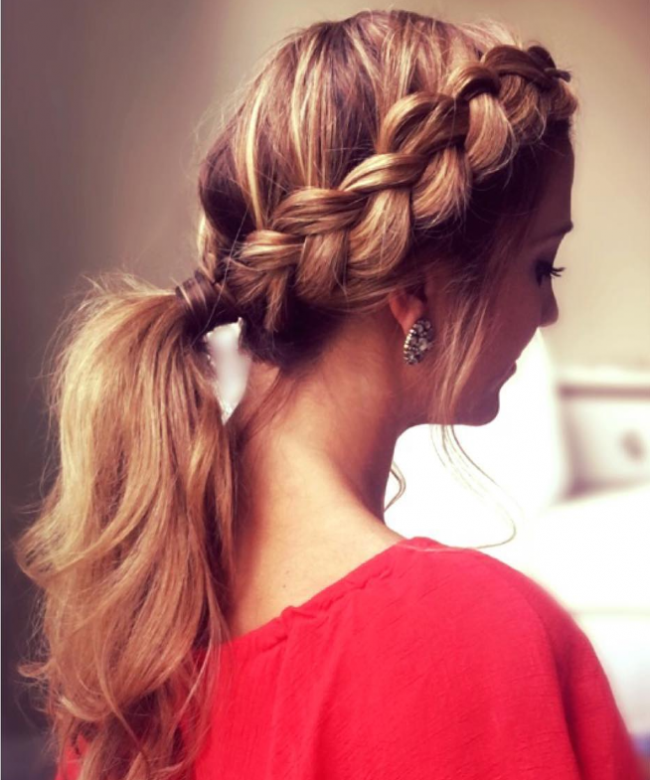 A braided ponytail can also be a stylish and funky hairdo is you style it inventively like this one. Here you need to shave the sides and a small section at the back and give them a smooth fade. The important part of the design is the section with the hair and to style it you should bring the strands to the middle of the head and weave them into a fishtail to form the Mohawk design. 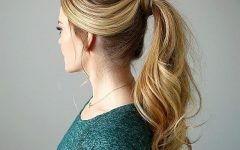 It is not always necessary to have long locks to wear a perfect ponytail because you can still form one with a medium size hair like this one. The strands in this one are straight and also very smooth which makes styling them easy. To create the hairdo, you should weave a simple twist starting from the front and then brush back the rest of your hair neatly. To finish the headdress, you should tie the hair into a high pony and wrap the braid around it. Ladies looking for a protective style for their natural locks should go for this cornrow ponytail as it will not only protect their hair but will also give them a funky look. The design will not require you to have a very long hair because you can form it with any size by using extensions. However, the color is also vital for this design because although you can have it in any color, black is the most attractive for this headdress. There are no limitations when it comes to weaving your strands and you can have anything that you like provided you can make it right. 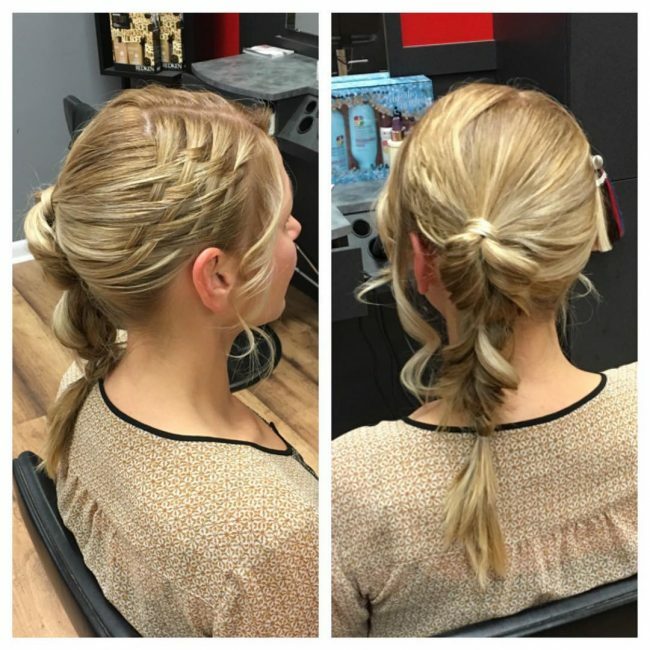 This style uses some rope twist to create a beautiful pony. There are two twists in the design that start at the center part at the front of the head and curve around the sides. The two twists meet at the back where you should use elastic bands to tie them into a pony. 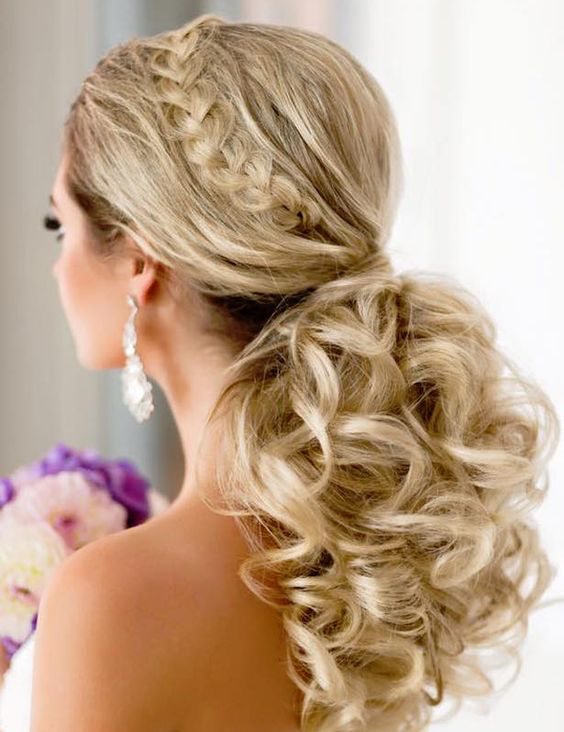 The perm curls on this hairdo are splendid, and they combine with the creative braid to form a very stylish updo. 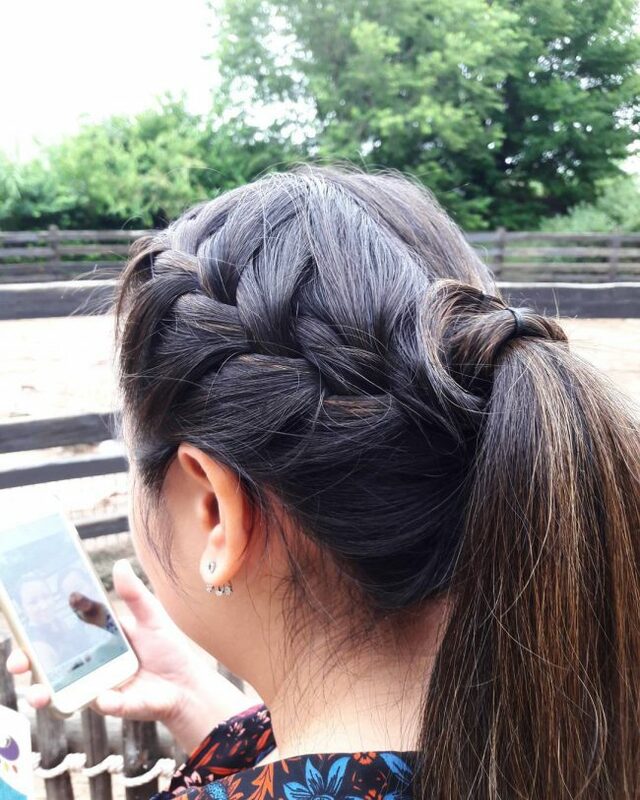 To wear this style you should have a long thick hair because it makes it easy to create the neat Dutch braids on the sides. The twists start at the center part and flow to the side before meeting the rest of the strands at the back to form the pony. And the only other things that you need for this design is to use curlers to make the ends of the locks curly. You do not have to know how to weave hair perfectly to create a beautiful braided ponytail. And this is because you can still create an adorable one by twisting a few strands on your crown and then binding everything at the back in a ponytail. However, to look as charming as in this particular hairstyle you also need to have a beautiful natural hair with a perfect texture and tone. The basket weave in this design is easier to create than it looks and the most important thing that you will need to know is how to section your strands to ensure that the pattern is uniform. Once you figure this out, you will only need to sweep back all the hair and create a stylish Boho pony at the back by using elastic bands to tie the locks in different sections. 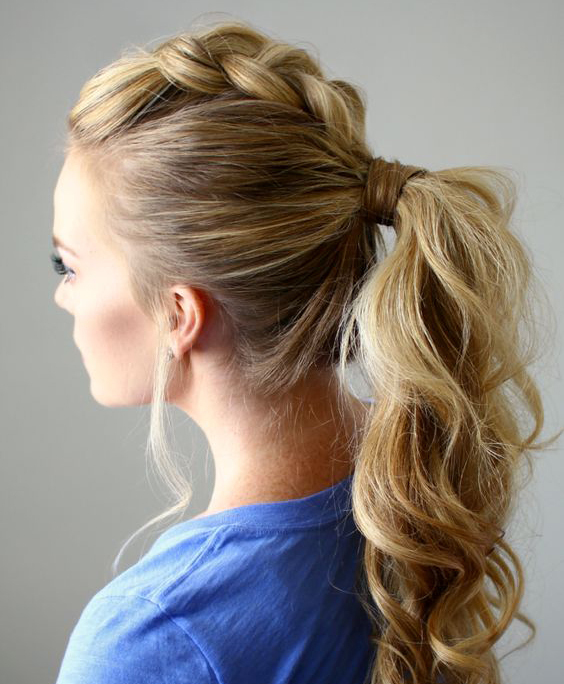 A ponytail is a simple style that is perfect when you do not have a lot of time to spare for your hair. This beautiful one is as straightforward as it can get and it entails weaving a small loose twist on the side and sweeping the rest of the hair to the back where you should clip it to form a cute pony. These natural strands have a medium volume and an attractive color that comes from highlighting the brunette strands with a subtle blonde shade. However, the braided crown in the design is what makes this a lovely style and it ends at the back where the strands meet to form a cute side pony. 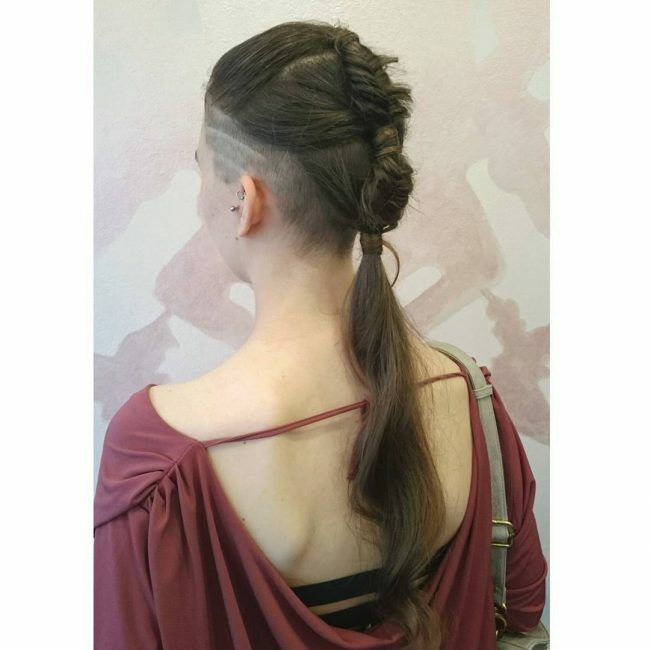 There are many ways of making a Mohawk with your long mane, but few are as stylish and easy to form like this one. To create the lovely style you should weave a big Dutch twist on your crown and finish it at the center of the head where you should gather the rest of the hair from the side and tie them into a pony to create the Mohawk design. This style is very creative, and you can almost be certain that it will make you stand out. It entails weaving two medium size twists that flow from a center part to the side. 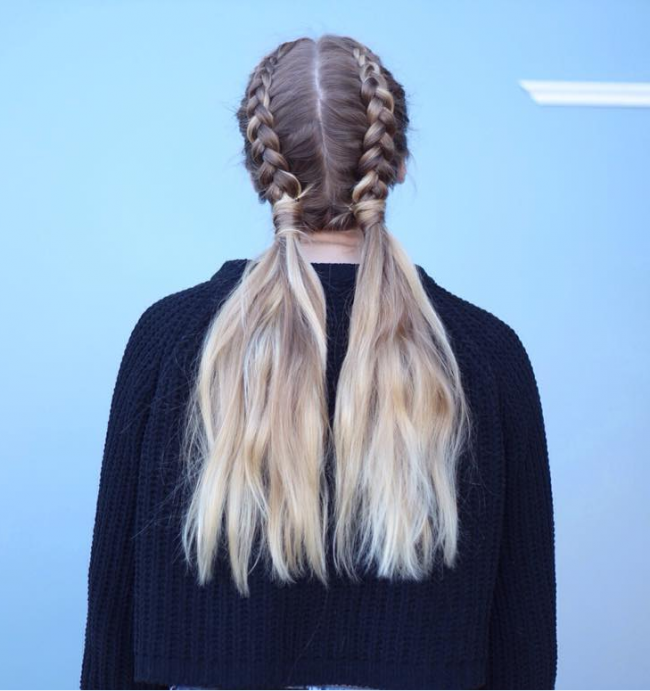 However, you should finish them at the back where they combine with the rest of the strands to form a simple pony. This headdress also entails weaving double braids and a ponytail but in a different design. One of the twists forms a massive headband that wraps around the head, and the other is part of the other strands that create the pony at the back of the head. These curly locks have a beautiful blend of brown and blonde that gives them a lovely tone. Their styling is also top notch, and it entails weaving a small twist on the crown and then sweeping everything to the back where you should tie the strands to form a distinct pony with some textured curly locks flowing from it. An all season’s hairdo like this one will not take much of your time to create, and this is more so if you have some lusciously textured locks. 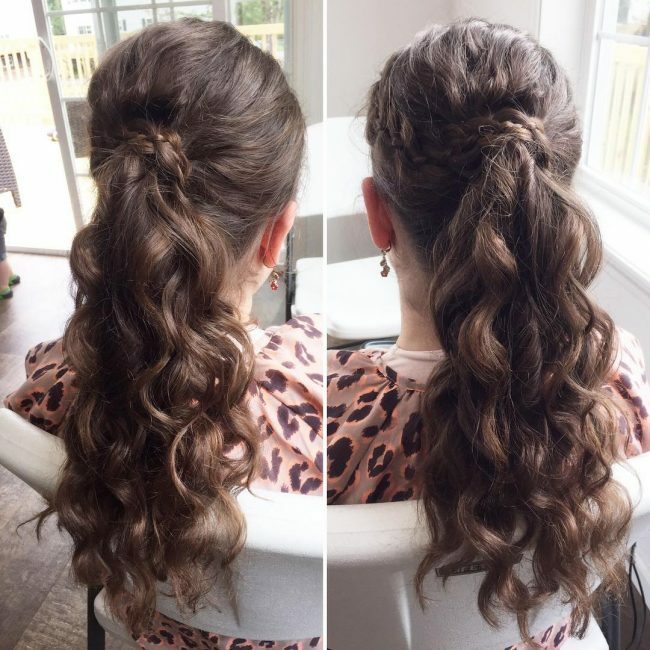 To create this lovely updo, you need to weave the locks from the front into rope-like twists that flow on the sides and finish by joining them at the back of the head with a hairband. 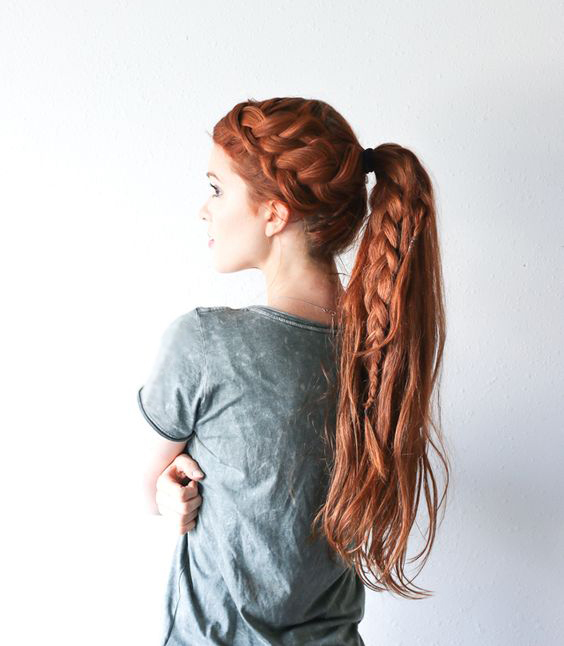 Dutch twists are very attractive, and the elegance that they create in this hairstyle shows why. 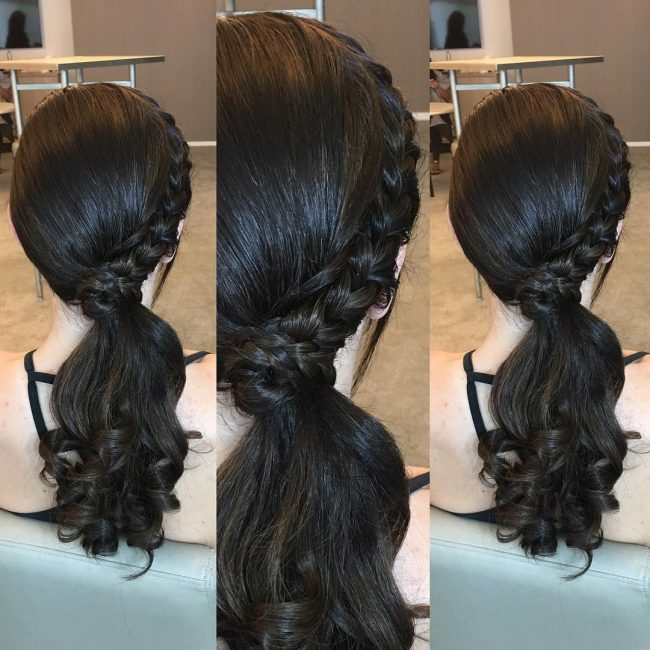 This style is a typical braided ponytail that entails weaving two medium size Dutch braids from the front and all the way to the back. You should wrap some of your unbraided locks around the two Dutch twists to form the pony but makes sure that you incorporate the rest of the textured strands into the knot. As sophisticated as this design might be, the look that it creates is breathtaking, and this makes it worth the effort that you have to put into forming it. 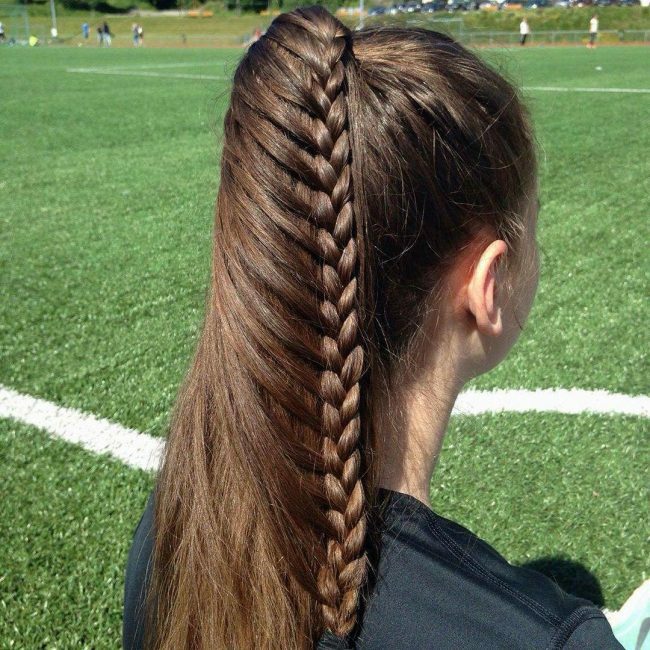 The twist is a two strand fishtail but it also has some characteristics of a French braid, and this is what makes it look different. It tries to incorporate most of the hairs, and it finishes into a pony low at the back. 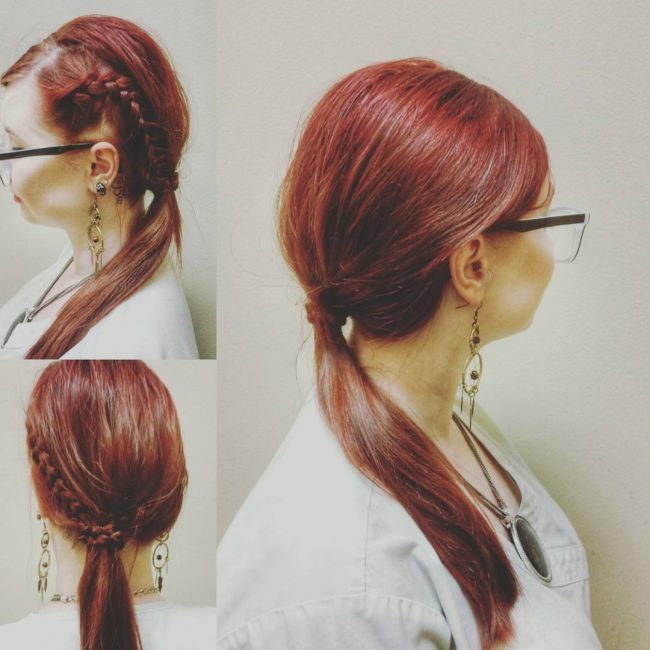 The color of this hairdo is unique, and it will turn heads everywhere you go. However, the long mane would not look this charming without the loose twist that flows in the middle of the head and the ponytail at the back. These strands also have some beautiful soft waves that will also add some spice to the design. Every woman wishes to have long locks, and if you are lucky to have them, you can style them in many ways. These particular ones also have some nice waves and a beautiful golden blonde shade. 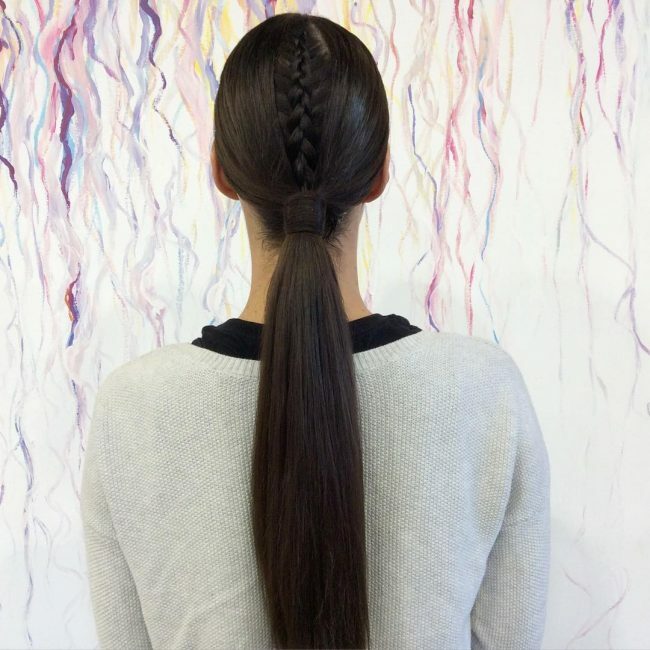 For styling, you only need two twists at the top of the head that you should then finish in a pony. You also have to use some pins to hold your braids in place. A stylish hairdo such as this one will not require a lot of work to achieve. For this style, you only have to pull your strands to the center of the head and use a few of them to form a tight ponytail. The last step is to weave some of the strands protruding from it into a neat braid and then make the rest messy and wavy to finish the headdress. 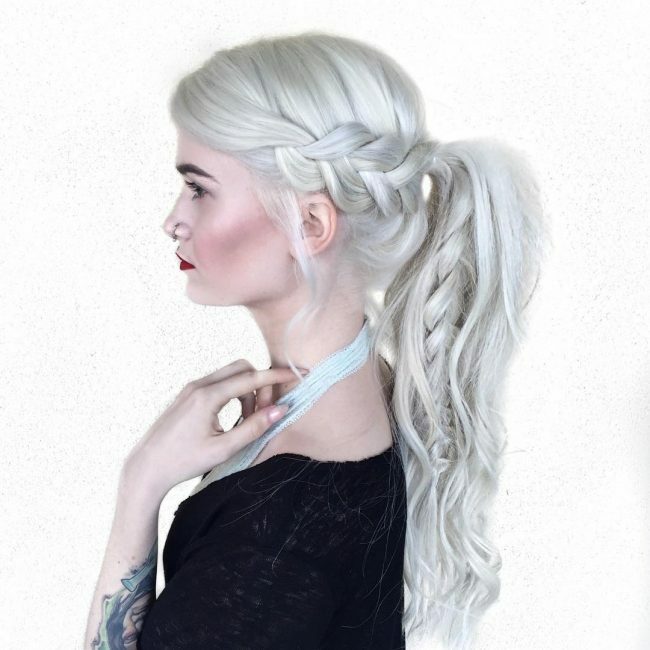 The 50 funky hairstyles above demonstrate the many ways of wearing a braided ponytail. There are still many other options available, and so if you want to get the best from this chic headdress, you only need to choose something that works for your hair type and also what goes with your taste and preferences.